Nancy Fletcher and John Ellery are joint winners of FEPE Lifetime Achievement Award. Women’s Aid by Ocean wins Creative Award. FEPE International President Antonio Vincenti announced the winners of the global Out of Home association’s 2016 Awards at the FEPE Congress in Barcelona last night (June 2nd). The award winners were chosen by a jury of FEPE board directors and former Presidents, all senior representatives from the worldwide OOH industry. The joint winners of the Lifetime Achievement Award were Nancy Fletcher, President and CEO of the Outdoor Advertising Association of America and John Ellery, Executive Director of FEPE. 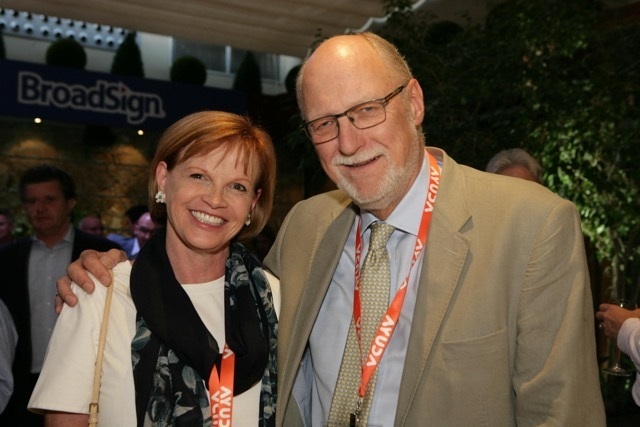 Nancy Fletcher, President and CEO of the Outdoor Advertising Association of America and John Ellery, Executive Director of FEPE. Winner of the Creative Award was a campaign for UK charity Women’s Aid from Ocean Outdoor and London advertising agency WCRS. This was a high impact digital campaign tackling the issue of domestic violence in a dramatic and compelling way. 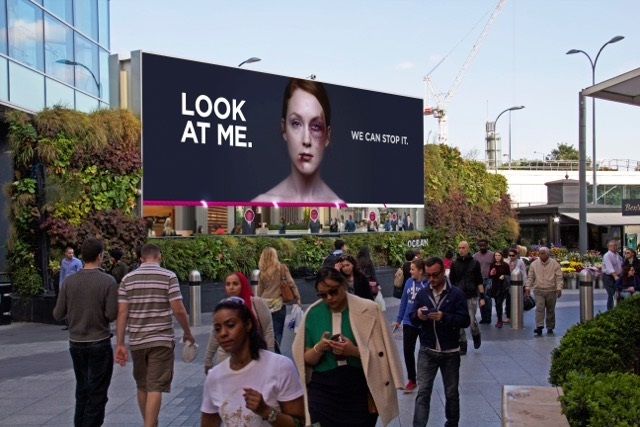 The campaign for International Women’s Day 2015 used gaze tracking technology to trigger changes on the screen so the woman victim’s bruises heal as more people respond to the challenge: Look At Me. The FEPE Leadership Award went to Annie Rickard, Global CEO of Posterscope, for her work in transforming a UK poster specialist into a major global force in all aspects of OOH. Posterscope is now owned by Dentsu Aegis. The FEPE Technical Award went jointly to Portuguese OOH companyMOP and technology company TOMI Worldwide for their network of ground-breaking digital screens in Lisbon, bringing the latest news, information and brand messages to people in the Portuguese capital. FEPE President Vincenti says: “all the awards illustrate the way the OOH industry worldwide is becoming even more dynamic in the ever changing digital age. “The Creative Award to Ocean and WCRS shows the power of digital creativity to do good in the world. “The Technical Award to MOP/TOMI World shows how digital technology can help transform an urban landscape. 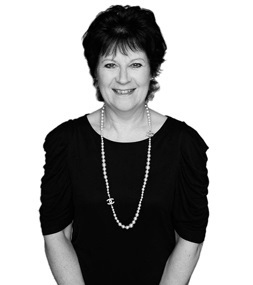 “Annie Rickard’s leadership at Posterscope has been a remarkable achievement while Nancy Fletcher and John Ellery have played key roles in developing this global industry and helping to steer it into an exciting and prosperous future. “Nancy has contributed massively in building the OAAA into a formidable force in the United States. John also played a leading role in establishing and managing important international networks at Poster Publicity and then Portland. Whilst with FEPE, John the ultimate Global networker, has done much to bring together our industry allowing it to navigate its way towards an exciting and prosperous future. “FEPE today, representing Global as well local OOH owners, agencies and a vast and growing number of technology suppliers worldwide, was almost unimaginable ten year ago.